After a conversation reminiscing about the good ‘ol days before university life, someone brought something interesting to my attention. This year, a number of South African schools went paperless in line with the Gauteng Department of Education’s The Big Switch On. The initiative was launched in January this year, and saw seven schools in the Gauteng area receive a number of tablets in order to move away from the textbook system and fully utilise the power of e-learning. According to an article, the seven schools in the initiative will follow the model set up by Sunward Park High School which has been the guinea pig in all of this. The former model C school has been textbook free since the start of the year, and has had minor hiccups with the use of the digital-only teaching system. While I commend the various members of government for making wireless learning a possibility to be rolled out across all schools in the next few years, I wonder about the long-term costs and successes of this venture. The budget for the project has been estimated at R17 billion over the next five years for all schools in the Gauteng area. Quite a substantial amount but considering the cost of technology these days I do not know if this will sufficient to cover the cost of hardware and training. Another issue is security as keeping devices on site would need more of that to protect the investment. According to SouthAfrica.info there has been an addition of surveillance camera’s and security officers at the schools in the project. Devices also have trackers equipped to keep the devices safe in the case of theft. This project seems to be geared more to public and former model C schools in order to bridge the digital education divide which is ultimately a great investment. I just think that the cost implication might not be affordable for all families. In the Sunward Park model, parents were given the option of purchasing either a 7 inch tablet at R1000, or a 10 inch tablet for R2000. 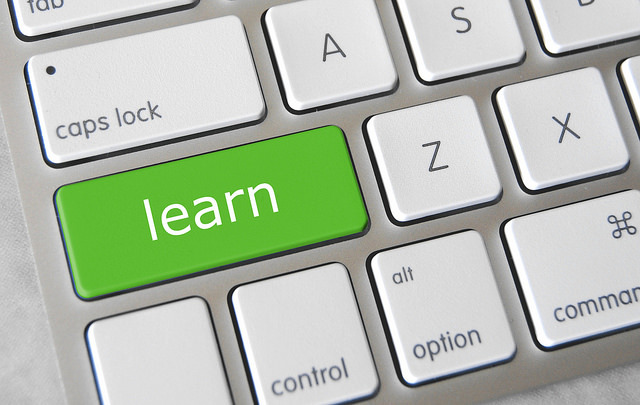 Additionally, the course materials in the form of e-books would be about R300 per year. The cost of textbooks per year is estimated at R1800 so if this was for a learner starting Grade 8 this would be a worthwhile investment for the duration of their high school years. But what would happen to a low income bracket household with more than one child? When school fees and other basics are already an issue, how must the family cope with these added costs? On speaking to St. Stithians Matric learner Obakhe Bukula on her experience of the digital-first learning strategy, she seemed to hold a very positive view of the project. She said the private school had gone textbook-less from the start of this year with learners as young as Grade 3 being required to purchase a tablet for school purposes. 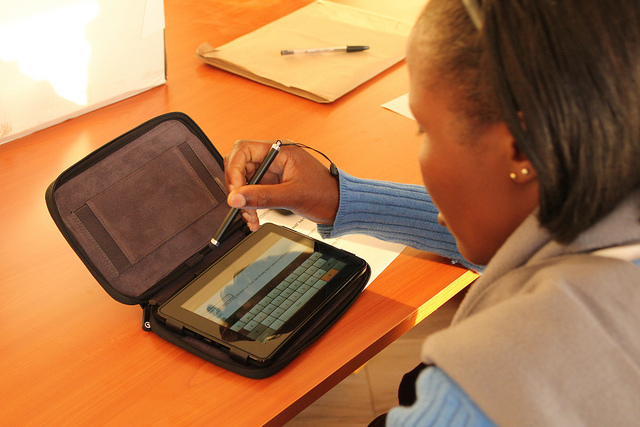 The high school only required learners in Grade 8 to have tablets purchased this year. The cost is not included in school fees and the onus is on parents to purchase the devices (be it Android or the more expensive Apple). Obakhe says that having her work digitized makes it easier for her to concentrate and take notes in class. “It is also more interactive as we can use various resources for each different lesson,” she says. While I do think this move to digital is an important one, examples like the one above show how those that do not have the adequate funds can very easily get left behind and that would defeat the purpose of such a large project. With that in mind, I’m not sure we are completely ready for a digital-only classroom, and we should focus on smaller, infrastructure and economic-related issues before rolling out the toys.